It's Orang Utan Comics' tenth anniversary and we're having a party...and you're all invited! It's going to be quite a party. 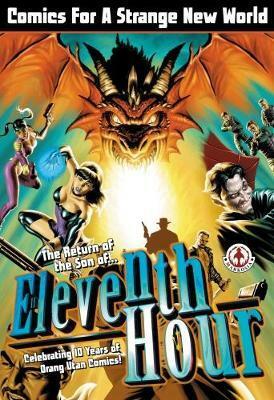 The Return Of The Son Of Eleventh Hour features eighteen stories from the past, present and, quite possibly, the future of Orang Utan Comics. It all kicks off with a brand new prologue to The Intergalactic Adventures of Zakk Ridley and ends with a rarely seen Hero: 9 to 5 short. It's been ten years and OUC are still making comics for a strange new world.